Or is it? The agenda “Amended Aug 13, 2018 9:04 AM” has both the annexation and rezoning in item 6.k, and another item 6.l about extraterritorial water and sewer. Nothing was received from the county about item 6.l. The Board has received the attached notice of annexation and rezoning which incorporates Hahira’s making extraterritorial extensions of water and sewer services into the County’s water and sewer service areas. The subject property is approximately 36.75 acres depicted on the enclosed aerial photograph and Rezoning Map. It is the northern portion of the 64.32 acre parcel depicted on the Rezoning Map. It is on the north side of Hahira on the east side of Highway 41. Section 2 of the Special Settlement Provisions of the Lowndes County Service Delivery Strategy Agreement effective July 1, 2008, provides “Any party may make an extraterritorial extension of water and sewer services upon approval of the affected party.” It also provides “Such approval shall not be unreasonably withheld,” considering the factors listed in the Agreement. The attached notice evidences Hahira’s intention to make extraterritorial extensions to provide water and sewer services to the subject property. The Annexation Petition and Rezoning Application signed by the property owner enclosed with the notice evidence the property owner’s request for water and sewer services by Hahira. The proposed extraterritorial extensions will not negatively affect property owners in the County’s service areas or existing County water and sewer customers. The subject property is contiguous to Hahira’s existing water and sewer service areas. The County has not made investments in infrastructure planning to serve the subject property or other properties in the immediate area and does not have plans to serve the subject property or other properties in the immediate area. The proposed extensions will not otherwise negatively affect the County’s plans for the provision of water and sewer services to other properties in the County’s service areas. A proposed letter from Chairman Slaughter to Mayor Cain communicating the Board of Commissioners’ approval of the proposed extraterritorial extensions is attached. It states the Board of Commissioners’ approval is conditioned upon Hahira’s annexation of the subject property and that if Hahira does not annex the subject property it will remain in the County’s water and sewer service areas. OPTIONS: 1. Approve the proposed extraterritorial extensions on the condition Hahira annexes the subject property and authorize Chairman Slaughter to sign and deliver the attached letter to Mayor Cain. 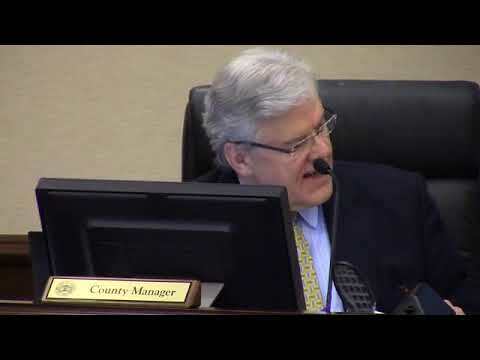 RECOMMENDED ACTION: Approve the proposed extraterritorial extensions on the condition Hahira annexes the subject property and authorize Chairman Slaughter to sign and deliver the attached letter to Mayor Cain. Since that’s a pretty good description and it’s public, seems to me there was no need for county staff to email further information. I do wonder, since the letter from Hahira City Planner Matt Martin was sent to Lowndes County August 1st, why County Manager Joe Pritchard only brought these annexation and rezoning items up in the Work Session on August 13th. Valdosta, Lowndes County, Georgia, August 14, 2018. We shall see what the county does tonight. Meanwhile, thanks to Paige Dukes and Sabrina Denson for timely sending these materials before the Regular Session.